This is a recording sheet to use during a figurative language unit. 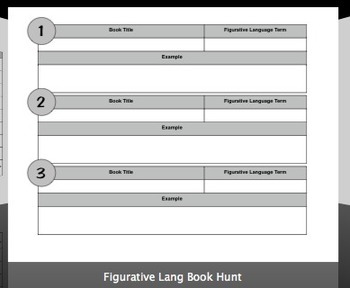 Provide picture books for students to browse for figurative language. As the students find examples in the text they will record them using this sheet.